It's no surprise to me that Kanye West Is Time Magazine's Most Influential Person. The rap star, designer, and media mogul is a constant presence in pop culture. Not only does Kanye voice his opinions on current trends, be it sociopolitical, music, or design, but he also often makes the trends happen. He is the ultimate celebrity in many ways. He is as revered as he is criticized, and it's often the latter that fuels West's creativity and drive. In his interview with Time, Kanye is both down-to-earth and otherworldly, approachable and untouchable, but, mostly, he is fervently idealistic. Kanye wants to make the world a better place, which may feel a bit jarring considering his public persona can often be abrasive and smug. In the interview, Kanye sits on a stool in a plain black tee speaks very softly and humbly about his mother and how he found music. When he was a kid, he wanted to make video games. He learned how to produce in 7th grade from playing with an Omega computer that his mom gave to him. From those very simple beginnings, Kanye has become perhaps the biggest star on the planet, and we find that he doesn't take that role lightly: "It's a real proposition to humanity to make something physical." 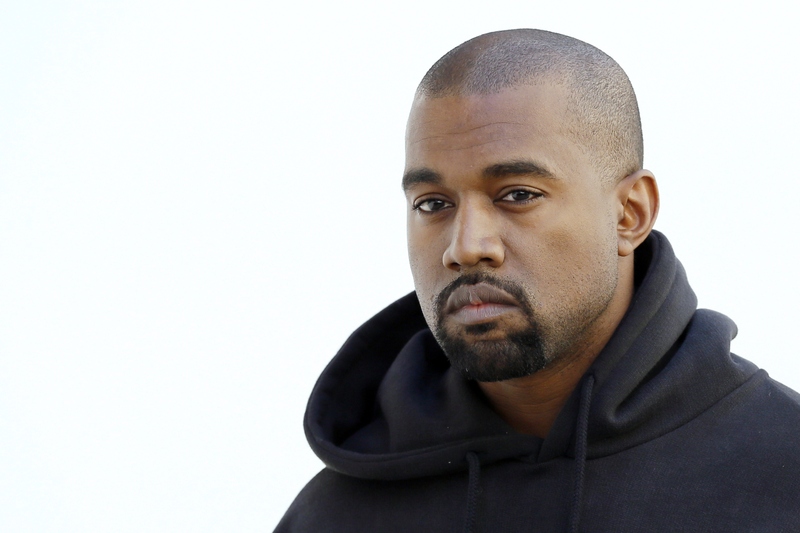 Kanye West isn't just a rapper and a designer; he's an artist on a mission to make the world somehow better — to make the masses more aware and more connected. It's a big shift from the guy who jumps up at award shows when it isn't his turn. But maybe that's all part of his big vision, for everyone to make their voices heard and united. Though the Kanye in the Time interview feels a bit more subdued, he's actually still going full force. "It's something about when you grab the fabric now that feels like the energy of your first day in college, that first year in college versus the energy of that last year in high school." "When I eneterd the fashion world, and I encountered a lot of elitism and all that, it just made me happy. It was something fun. We had the entire world against us." "I don't care about having a legacy, I don't care about being remembered. The most important thing to me is like while we're here, while we're having fun, while we're going to sleep and breathing oxygen, and living life, and falling in love and having pain, and having joy — what can I do with my voice? What can we do for each other to make life easier? To make life doper for our kids as they grow?" "We were born into a broken world, and we're like the clean up crew." "What's the thing that makes magic, "magic?" The fact that no one believes it's possible. "I think there are school teachers that are on the exact same mission as me. I think there are police officers that are on the exact same mission as me. Just help. Just do everything you've got, give everything you've got. "